New York is a city of renters, but nearly a third of New Yorkers own their own homes. The stock of 2-4 family homes provides an important source of affordable rental housing in many neighborhoods. Secure and affordable homeownership has long been recognized as an important way for people to build wealth and move into the middle class. Yet, lower-income people and people of color have consistently been locked out of the housing market or targeted with harmful lending products and practices. In the years since the 2007 economic crisis, low- and moderate-income (LMI) New Yorkers and people of color have faced significant barriers to homeownership in New York City. 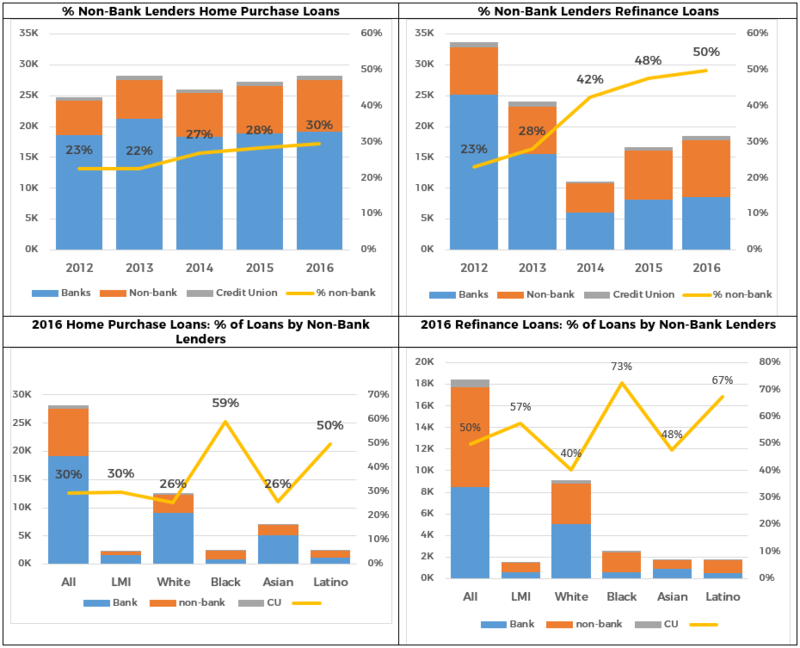 In this new white paper analyzing trends in 1-4 family home lending in New York City, the Association for Neighborhood & Housing Development (ANHD) uses newly released Home Mortgage Disclosure Act (HMDA) data from 2016 to update a paper we published in 2016 based on trends in the 2012-2014 HMDA data.